Vibrant I.B. Technicolor 35mm Print! The story of the Corleone crime family continues, this time with son Michael Corleone (Al Pacino) at the helm. As Michael becomes fully engrossed in his late father’s business, we encounter the roots and rise of a young Don Vito (Robert DeNiro) as he builds up both a family and an empire in America. 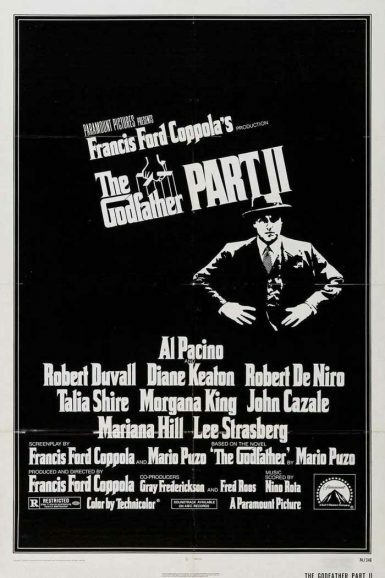 With 6 Academy Awards, including Best Picture and Best Director, The Godfather Part II is rightfully recognized as a landmark masterpiece from legendary filmmaker Francis Ford Coppola.